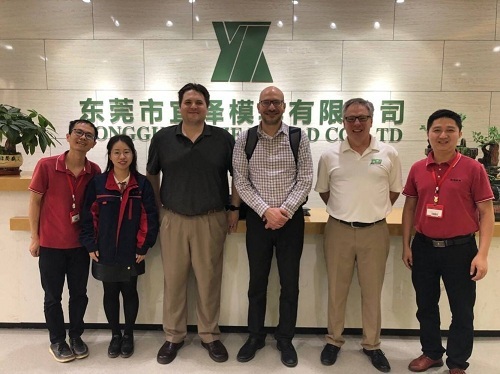 On March 29, 2019, western customers came to our company for a one-day visit. General Yang and his business representatives warmly received and attended the symposium together. First, the two sides conducted in-depth discussions and exchanges on cooperation in recent years and future new projects. On behalf of the company, the business manager thanked the customers for their long-term support and trust, and then introduced our company's recent development and business development. The customer representative said that our business philosophy is in line with their requirements, and he hoped that we can continue to cooperate in the future to achieve mutual benefit and win-win situation. YIZE MOULD attaches great importance to the cooperative relationship with customers, and hopes to further enhance the level of cooperation between the two sides in the future, develop together, and provide customers with better service.